Another year has come and gone and I’ve read and reviewed 16 books for the blog in 2013. I had a good year reading and looking forward to a better reading year in 2014. So what were you favorite reads of 2013? One of the things, I have tried to do as a book reviewer for this blog is to read fiction outside of my comfort zone. I believe it’s important to stretch your reading experience and grow as a reader in the process. It’s too easy to only read in the genre you are comfortable with and never leave your favorite reading neighborhood. I get this sensibility from my love of music. I can go from Pop to Old School R &B to Gospel to Jazz to Salsa and to Rock when I’m listening to music. But, in the literary world there’s an unwritten rule that if you only read Science-Fiction and Fantasy, then you must stay there as a reader. Or if you only read Christian Fiction you better not read Secular Fiction. I must admit I do not understand that unwritten rule. My hope is that readers would take more chances on reading outside of their favorite genre. What’s the risk? You may not like it. I’m sure there are books in your preferred genre that you have not liked. I want to spend time reading things I comfortable with. Well, being comfortable can make you stale and doesn’t challenge you. What’s wrong with being uncomfortable and getting challenged once in awhile? I know there are plenty of reasons (excuses) for reading the same old thing. We only live once, right? 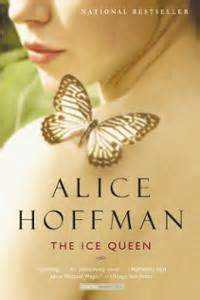 Sorry for getting on my soapbox, but after reading The Ice Queen by Alice Hoffman brought those thoughts from the prior paragraphs to mind. I had not read anything by Hoffman before and I had heard about her reputation as being one of the best contemporary novelists working today. I saw this novel in the local used bookstore here in San Antonio and picked up from the shelf. The cover intrigued me and I read the blurb and decided to make it my last read and review for 2013. What if you were struck by lightning? How would that affect you emotionally? Would you try to find comfort or solace in others who had the same fate? Would you open yourself up to love? How would treat your family and friends? All of those questions are answered in the story. The novel is narrated by unnamed woman who has been struck by lightning in her home state of New Jersey. She grew up with a distant mother and had a lukewarm relationship with her older brother. Because of those family relationships, the narrator was dubbed the nickname, The Ice Queen. The narrator meets another lightning-strike victim named Lazarus Jones. The two have a passionate romance but she begins to find out that Lazarus may not be whom he said he was originally. The narrator learns a lot about herself through this affair and begins a process of character growth because of it. Also, there is an event with the narrator’s brother that begins to bring the two closer together. The brother remembers reading fairy tales to the narrator while growing up and that bond becomes an important discovery as he is dealing with this event in his own life. The Ice Queen is a beautifully written, well-told story of a woman’s transformation after tragedy. Also, Hoffman shows the role of fairy tales and how the power of story could be used as a healing balm. I would recommend The Ice Queen and it was a good way to end my reading year of 2013. What happens when a rogue scientist decides she wants to kill an entire moon city with a virus in order to create her own version of a superhuman race? That question is the basic plot of Extremes by Kristine Kathryn Rusch. Extremes is the second novel in the multi-genre Retrieval Artist Series. Miles Flint has become a retrieval artist after quitting the police force in the first book of the series, The Disappeared. Retrieval Artists are basically intergalactic bounty hunters that track down people who have disappeared in order to escape punishment from the human-alien societies created in this series. Most retrieval artists usually work outside of the law. But, Flint’s background as a detective and his strong moral compass has caused him to be conflicted as he works on his first assignment as a retrieval artist. He is chosen by a major law firm to investigate a former retrieval artist work on tracking this rogue scientist, Frieda Tey. In the process, he comes across a murder at the moon marathon on the colony of Armstrong. Flint finds out his work for the law firm and the murder are connected. As a result, he meets up with his old partner, Noelle DeRicci, from the police force who is investigating the murder. The two work together to solve the case and begin to understand that there’s a new dynamic in their relationship now that Flint is a retrieval artist. Extremes is another solid novel in the Retrieval Artist series that combines elements of traditional science-fiction and mystery into a genre gumbo I enjoyed reading. Rusch is an old fashioned storyteller where characters and plot both work together to create a solid story. No fancy or superfluous prose that distracts from the story. This novel was refreshing to read and I’m looking forward to reading and reviewing Consequences, book three of the series. Recommended. Has anybody ever read a science fiction mystery? I must admit I love when authors combine genres in their books. 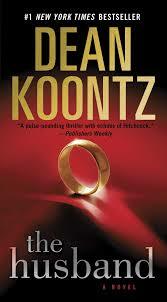 Dean Koontz is one of the masters of genre combining and twisting in his works. 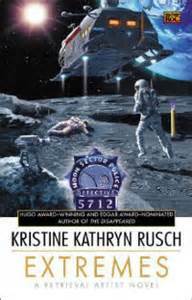 The Disappeared by Kristine Kathryn Rusch is the first novel I’ve read that combines a standard science fiction setting with a traditional detective story theme. Private detective Miles Flint and his partner, Noelle DeRicci, have been assigned to solve a couple of cases where people have disappeared from their alien captors in order to escape punishment alien justice style. 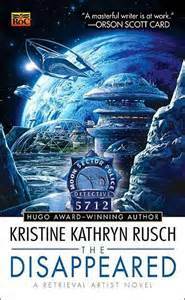 Rusch creates a believable world of human-alien interaction and adroitly reveals how a misunderstanding of moral and legal issues can cause an intergalactic diplomatic crisis. The price paid for that misunderstanding is very costly and could even effect one’s own children. Flint and DeRicci are caught in the middle of several of those misunderstandings where a couple of alien races, The Wygnin and The Rev, are demanding that children be returned into their custody because of the crimes committed by their human guardians. Both detectives believe the aliens may have bypassed human laws and are determined to keep the children with their parents. Also, an outlaw is on the run because she helped her human client avoid a prison sentence from one of those alien races. What I liked about The Disappeared that it was a good old-fashioned story. The beginning grabbed my attention and stayed with me until the end. Rusch resolved the multiple storylines nicely and I got solid characterizations of Flint, DeRicci, and the aliens. 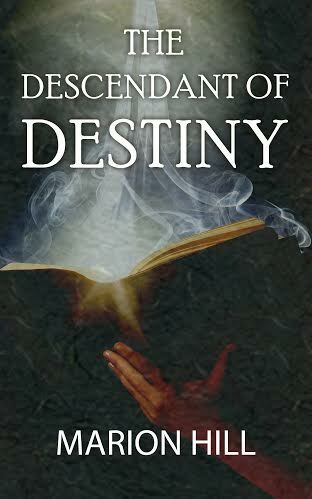 This is the first book in the Retrieval Artist Series and one of my best reads for 2013. I’m looking forward to reading and reviewing the rest of the series for the blog in 2014. Recommended. My wife made that comment after a recent conversation about books. I told her I had read Stephen King’s Bag of Bones recently and her interest in that book surprised me. She was more of the movie watcher than book reader in our family. Since she is a fitness aficionado, I decided to create a husband/wife challenge around our interests. For the month of October, I would exercise and go to the gym with her if she would read one novel with me. She agreed to the challenge and The Husband by Dean Koontz was chosen as the novel we would read together. The Husband is the story about Mitch Rafferty, a self-employed gardener, whose wife has been kidnapped and the ransom for her return is two million dollars and he has sixty hours in order to come up with the cash. Mitch loves his wife, Holly, more than anything in this fictional world but Koontz asks a basic question in this story, how far will you go for love? While, the plot is simple but a writer of Koontz’s skill creates several surprising twists and turns on the way to its resolution. Also, he deals with family relations and asks another question in this novel, how well do you really know someone that came from the same parents as you do? I must admit that The Husband was not my favorite Dean Koontz novel. I’ve read at least a dozen of his books and I would rank it in the middle of the pack. (I would consider Cold Fire, Strangers, Watchers, and the Odd Thomas series as the best Koontz novels.) But it was a solid page-turning story and good entertainment. That’s the one question I’ve always wanted to get a definitive answer to in all of my adult life. Well, I believe I have found a book that attempts to give me that answer. 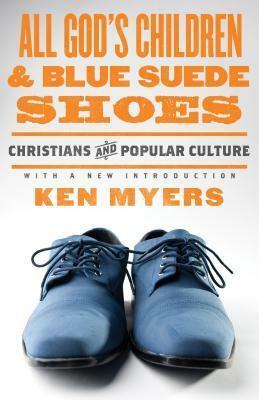 All God’s Children & Blue Suede Shoes by Ken Myers explores the relationship between Christians and Popular Culture. I heard the author on Christian Radio last year talking about the re-issue of his book. It was first published in 1989 and the re-issue got a new cover (see above) and a new introduction by the author. That quote sums up the author’s answer on how Christians should deal with the omnipresence of popular culture. Myers examines the historical lineage of popular culture from its roots in Romanticism of the mid 19th century and how it came into full bloom in the 1960s. Myers explains how Christianity and Popular Culture have always been at odds with each other because one side believes in history, tradition, and the eternal things of life. While the other side believes in the present, always looking the next thing, and focuses on self-fulfillment. However, the author doesn’t take the easy route and totally bashes popular culture as one would expect from a book like this. Myers does warn how much popular culture has affected the church and how modern evangelicalism has a symbiotic relationship with it unfortunately. As previously mentioned, All God’s Children and Blue Suede Shoes was published in 1989, Myers ends the book with the pernicious effect of television but doesn’t address how social media and the internet have taken over television’s role in pop culture. Because of that, the book does feel dated and out-of-step with the 21st century. Nevertheless, the best books still have timeless principles to reflect on and can always be read even if the culture has progressed from when it was published. In closing, I believe in reading All God’s Children and Blue Suede Shoes, I have gotten as close to a definitive answer to what is popular culture that I’m going to get. Because of that, I’m truly grateful and will wholeheartedly recommend this book to those who want to know how to live in a world where popular culture dominates every aspect of our lives.